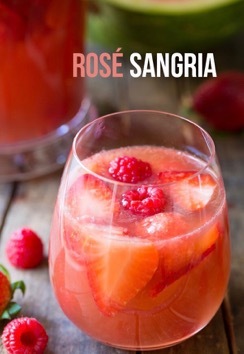 One of our favorite parts of Labor Day Weekend is the moments spent enjoying a refreshing tasty last summer drink (or cocktail) with your girls! I don’t know about you but the heat is taking its toll on us... so we found how to stay cool with these few easy-to-make, delicious drinks! You can use any fruit you like for this! But here’s one we like to use. You just have to place these ingredients in a glass jar! So simple. We hope you enjoy some of these summer drinks during this last taste of summer as much as we have been!